Navigate to Members >Member Pathways, and click the button Add Pathway. First, you will need to select how long after a member signs the pathway email should be sent. You can do this by hours, days, etc. 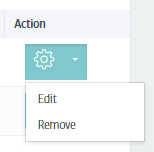 Next add a subject for your pathway, and choose if it is to be sent to all members, or if it should be filtered by goal type. If you would like the pathway to be sent to members on particular packages, you can slide across the button , which will then open a new box for you to select a package. 5. 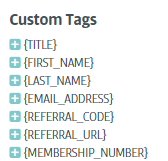 You can also insert tags to the content, by clicking them on the right-hand side. 6. You can also insert attachments at the bottom of the pathway, if you wish these to be sent out with the email. 8. Your pathway will now show in the main box on the email pathway page, and details of the subject, delay, and data added will also be shown. 9. The 'status' of the pathway is either active and will be sent to members, or inactive and will not be sent. This can be changed by clicking on the coloured circle (yellow is inactive; green is active).